Many video games have been made by their visuals, gameplay, compelling story or other mechanics that was lacking at the time or that the game’s developers just did better than any of their competition. Some games have great soundtracks. Here are some of the best games you can play today with great soundtracks. The first and second GTA games do not really count since they lack an actual soundtrack. 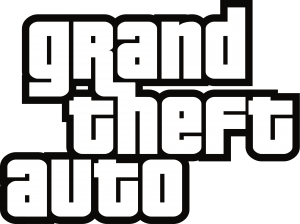 The rest, from Grand Theft Auto III up to today, all have radio stations. Each of them has licensed songs, from actual artists corresponding to the years in the game. Everyone has their favorite GTA game and some of them are that way because of the vibe, the soundtrack, less because of the gameplay. Chrono Trigger was a great game by itself, an RPG with 11 different endings, which came out in 1994. Take note, the game also has a great soundtrack which makes the already memorable moments unforgettable. The game’s soundtrack was often performed by orchestras and many covers can be found on YouTube and similar sites. Ever since Morrowind came out, every next Elder Scrolls game including Oblivion and Skyrim had amazing soundtracks. Composer Jeremy Soule managed to outdo himself in every installment of the series and left behind a legacy for everyone to enjoy. Not only is this one of the best sci fi RPG games of our times, bound with a great story and characters, it is also a game whose soundtrack fits it perfectly. Whether you’re on missions or just exploring the galaxy map, you will be haunted by those lovely notes and reminded why this is one of the best RPGs and games of our time. 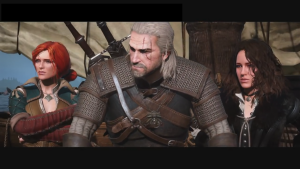 The Witcher 3: Wild Hunt impresses in many ways and the soundtrack is one of them. When you play this game, you are completely pulled into the world, the streets of Novigrad, the lovely and dangerous landscape of Toussaint and Skellige, with a soundtrack that many think does Skyrim better than Skyrim. Your moments in this game will certainly be memorable due to the soundtrack. Every good game has lots of mods and Skyrim is one of those games. Enderal is a total conversion which has a story and life of its own, very visual and storywise, much better than Skyrim itself. The soundtrack really plays an important role in this game, especially key moments in the story so you’ll remember it for that. These are but some of the games with great soundtracks with so many more great ones out there.